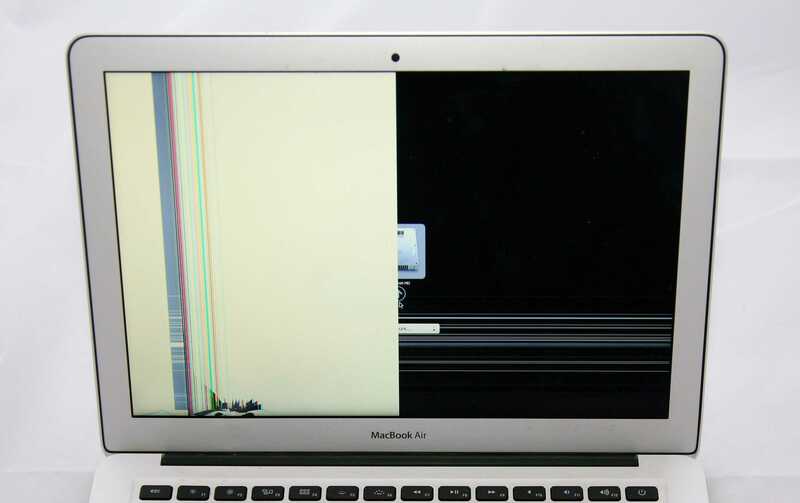 The damage sustained by this MacBook air caused the display to only work on exactly half of the screen. This was likely caused by the ribbon cable that allows the I/O board on the display to connect to the LCD panel itself. The new LCD panels come with this new IO board including those ribbon cables, so a new LED panel fixed the display nicely. In the picture above you can see that the display of this MacBook Air did receive a hit or trauma that caused the display to fail. There are two ribbon cables at the bottom of the display that connect to an IO board which in turn connects to the logic board of the Mac. The hit seems to have damaged the left side ribbon causing the video feed to not come through at all for that side of the display. While the picture above is clearly damage, we have seen cases where these ribbon cables fail without any obvious damage to the display. The failure seems to occur more frequently if the computer is moved around more than average (frequent flyers, train riders, etc). If you have a vertical bar on your display, the likely cause is damage or failure of the ribbon cables. The ribbon cables are not repairable, so an LCD replacement is required to get your computer back up and running. 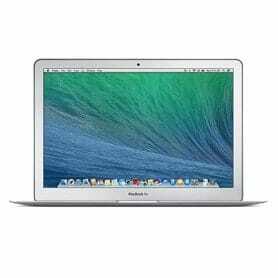 If you need your LCD replaced on your 13″ MacBook Air, select the service below to start the process of getting it fixed.